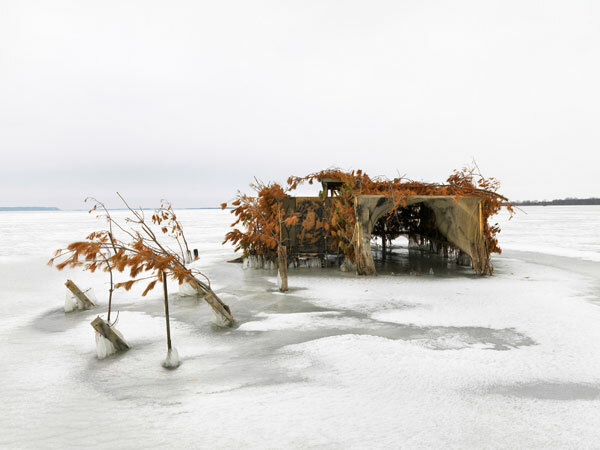 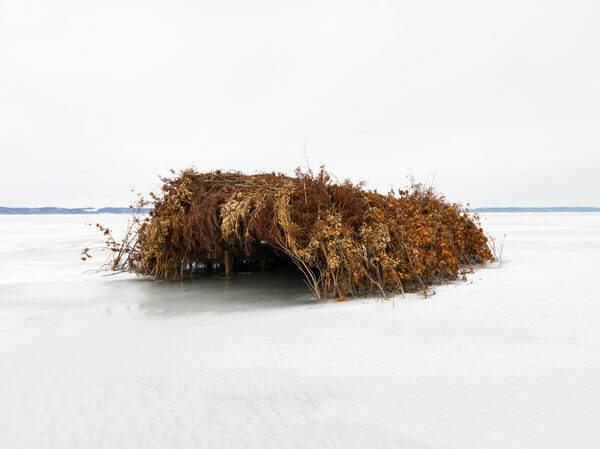 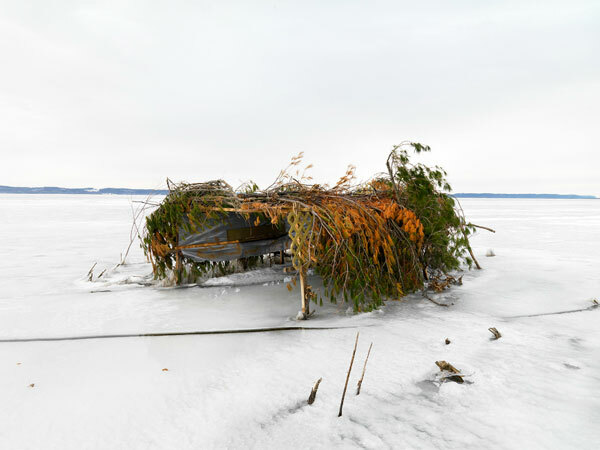 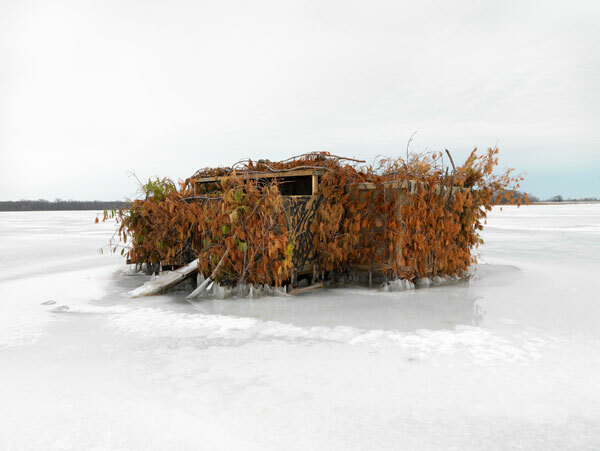 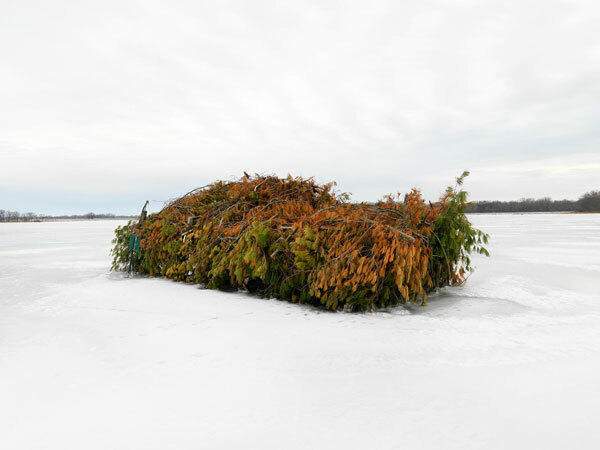 Photos of structures common along the northwestern shores of Illinois where hunters can hide as they shoot ducks. 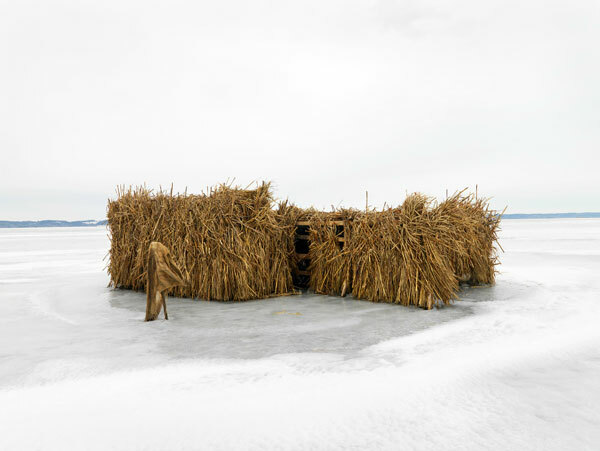 What I found interesting was how each blind possessed a style and character all its own, distinctly different and unique, but each hunter having to adhere to the same basic construction principles, while using similar building materials. 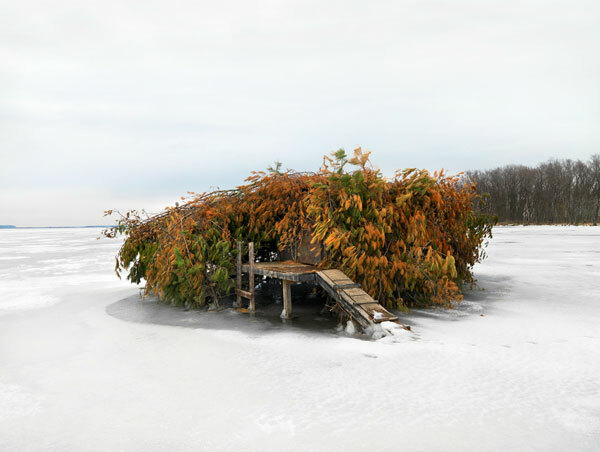 The end results, while utilitarian in purpose, are always playfully creative and original. 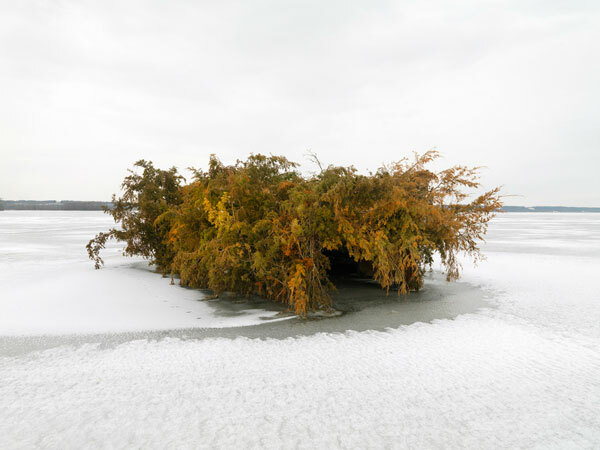 These photographs are a homage to their individuality.